PENSACOLA, FLA - Much like the famed Aurora Borealis (also called the northern lights), the Aurora Bath-Lite® Series window allows streams of light to filter into a room. 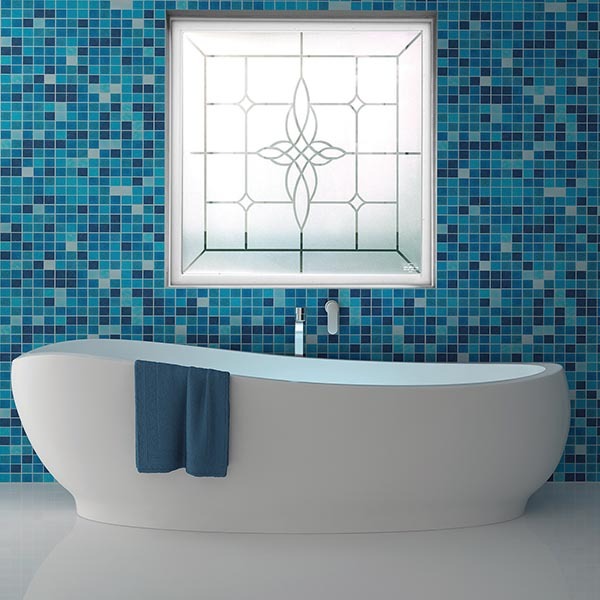 The eye-catching design of the Aurora window has made it the number one seller in the popular Bath-Lite Series from Hy-Lite®. "We believe people embrace this window because of its universal design appeal," says Laura Sikes, marketing manager with Hy-Lite, a U.S. Block Windows Company. "A soft intricate pattern of blocks and miniature diamonds surround an interwoven fluid design in the center of the window." Aurora is part of the economically-priced Bath-Lite Series that also includes the Olympia, Decorative Star and Charming Bloom window styles. The cost-effective privacy windows bring beauty and light to any room in the home without allowing prying eyes to look into the windows. "The Bath-Lite Series gives builders, remodelers and homeowners a cost-effective option for a privacy window that is more imaginative than simple frosted glass or rain glass," says Sikes. "These windows provide elegance in the home without breaking the budget. They have all the terrific features of decorative glass windows while boasting a value-added price tag."